Leonidas Studio Apartment - On A Hillside In A Quiet Position! 5 min walk will get you into the beatiful heart of Lindos and its Old Town, with all of the restaurants, shops and bars. Only a 10 mins gentle stroll from the golden sands of nearest beach. Diagoras airport is a 45 min drive away. Excellent location, everything you need and a perfect host! 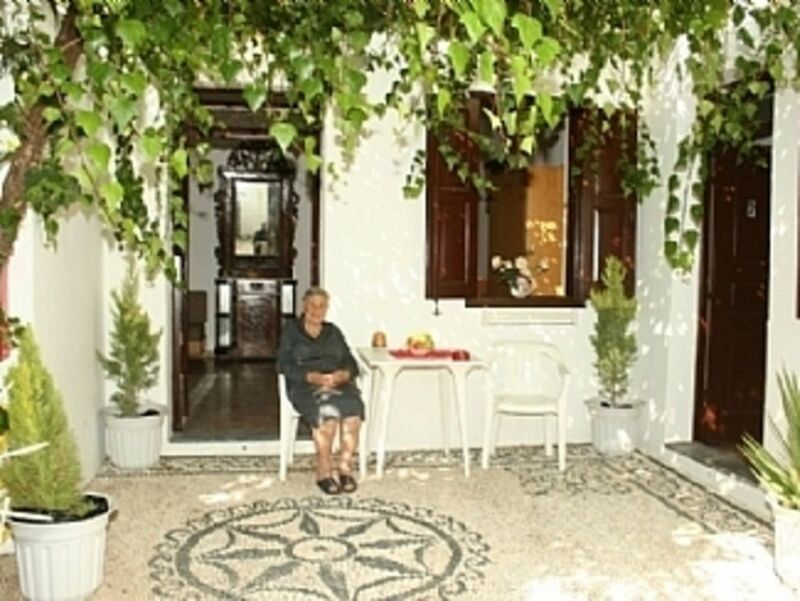 For future trips to Lindos, for us there will be no other place to stay - it's Mary or nowhere! We have just returned from a fabulous week in beautiful Lindos. The Leonidas Studios are perfect for a self catering holiday with comfortable beds and air conditioning. The view from the balcony is amazing and if you get up early enough the sun rise is breath taking. We were met at the airport by our taxi driver who was booked by the owner of the studio Mairy. I have to say she is one of the nicest people I have ever met, she can't do enough to ensure you have a lovely holiday. She met us upon arrival and showed us everything we needed to know. There were even snacks, fruit and water in the fridge. She kept in touch with us throughout our stay and as we had a late flight to return home allowed us to stay in the studio until 6.15 pm. She even had a small gift for my wife and I when she came to say goodbye. I cannot recommend this holiday highly enough and if we return to Lindos will certainly book the Leonidas studios. Only one word of warning, the studios are located on a fairly steep hill overlooking the town centre ( as is a lot of the accommodation in Lindos) so there is an element of fitness required to be comfortable with the terrain. Thank you very much Mairy for being such a perfect host. What can I say...we booked our holiday based on the reviews and had a wonderful stay at this apartment. It was spotlessly clean, well equiped and in the perfect location. Mary,the owner, was helpful, attentive and generous. She picked us up from the airport, showed us around the apartment and Lindos. She provided little extras during the week and was on hand all the time. Nothing was too much trouble. I would definitely recommed this apartment. See you next year Mary. We had two wonderful weeks in both downstairs apartment and upstairs studio. We enjoyed both for different reasons. The apartment downstairs is spacious with lovely kitchen to cook and very pleasant patio. We were lucky to be able to share also the courtyard with our neighbours. Spotlesly clean. The upstairs studio has wonderful views over Lindos and the sea, amazing sunrises! The villa is in excellent position, quiet, not far from anywhere. The landlay we couldn't praise enough; she made sure that we felt really happy. Thoroughly recommended. 5 mins of walk will get you at the heart of Lindos to all of the restaurants, shops and bars.